You can download a map from here. Please use all means at the time of the tourist Shukunegi. The Shukunegi village used to be a prospering port, and a hub of merchant shipping. The townscape and characteristic buildings, built by shipbuilders, are gloriously preserved both inside and out. This Walking Map provides essential information for planning your walk and notes places of interest to look for on your way. 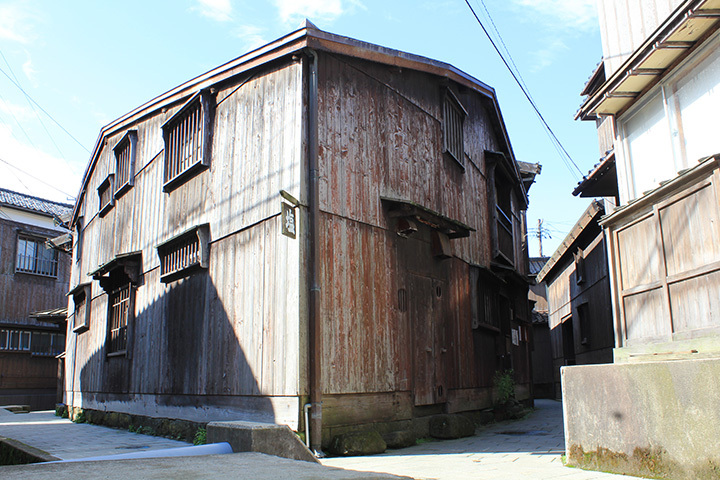 Why not take a walk in Shukunegi to explore its traditional townscape and the culture nurtured by shipbuilders? 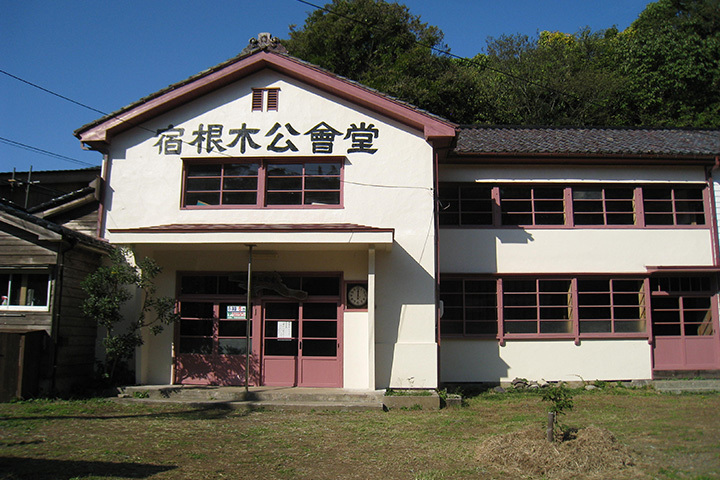 Sado Island’s Ogi Folk Museum is housed in the building of the former Shukunegi Elementary School, which closed in 1970. 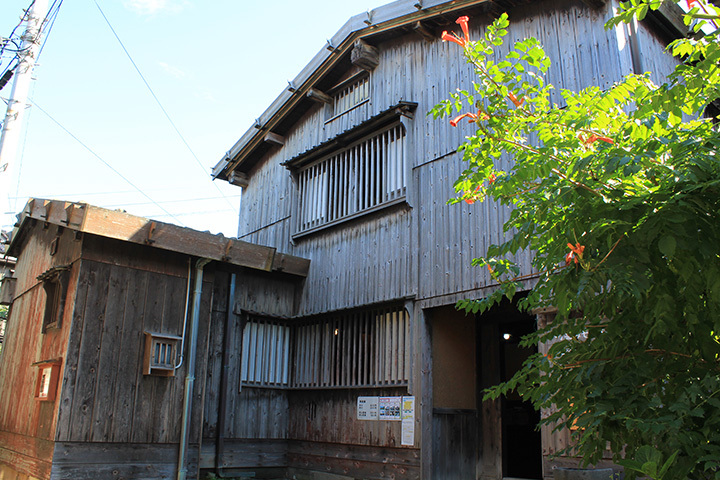 This building is one of a few wooden school houses and is a Sado City Designated Cultural Property. 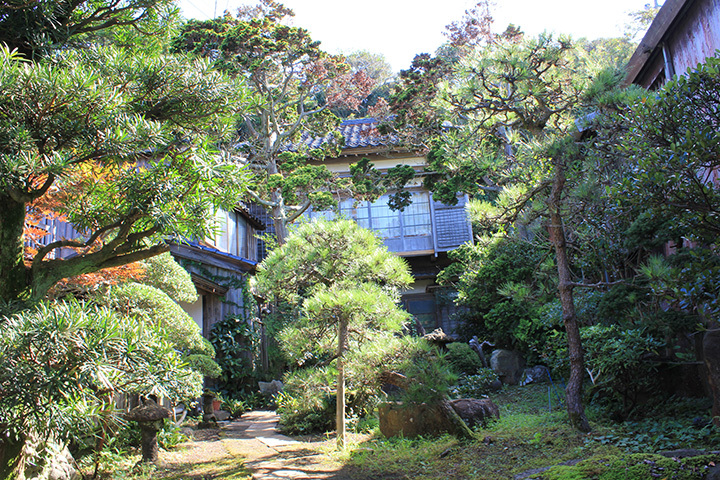 Hamanjo is the house of Ichisaburo Kagaya, who was a shipowner. “Hakusanmaru,” which is now on display at the museum exhibition hall, belonged to Kagaya. Lacquered wooden plates covering pillars, which became sooty and black, are traces of large-scale repair works done in 1833. 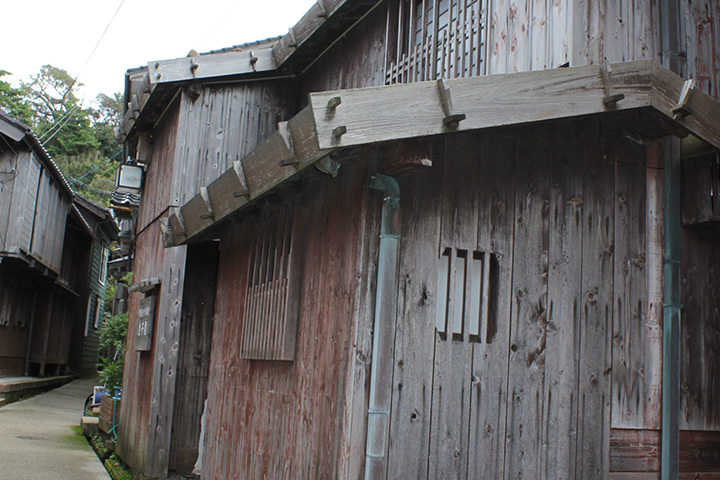 At present, Kado is considered the oldest house in Shukunegi, with its buildyear confirmed by the “Building Notebook.” This notebook, which the house owner, Tazaemon Takatsu, compiled to record expenses and treats to carpenters when building his house, is still in existence. Seikuro's Residence showcases the wealth of an opulent shipping agent who used to own two merchant ships. It has a spacious entry area and kitchen of packed earth, chamfered pillars, and a lavish interior of woodwork decorated with a woodstain made from persimmons' bitter juice and lacquer. Seikuro's Residence is open to the public. The building of the former Shukunegi Post Office belongs to Gonbee Ishizuka, who quit his job as a shipping agent to start a pharmacy and postal service. This Western-style office building was built to commemorate the start of the telegraph and telephone service in 1921. 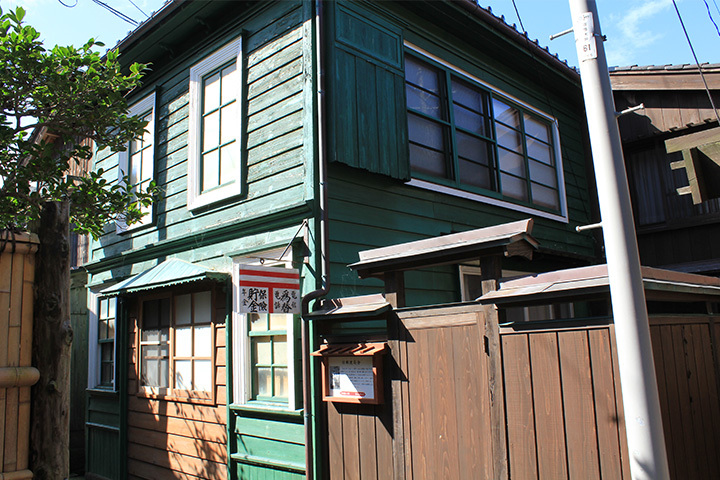 Anaguchi’s Residence belonged to a shipping agent, Izaemon Sato. The residence features stepping stones made from Shakudani-ishi (volcanic tuff), brought by a sengokubune [merchant ship] from around Mikuni Port of Echizen (present-day Fukui Prefecture), and a spacious garden. The Sato family was on Sado’s list of millionaires and used to own a vast amount of land. 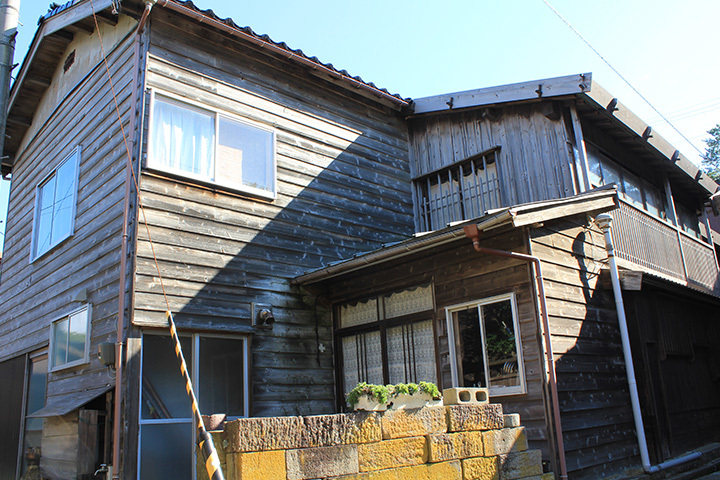 Kanekoya, who used to be a shipman, purchased the building in 1935 and used it mainly for his residence. 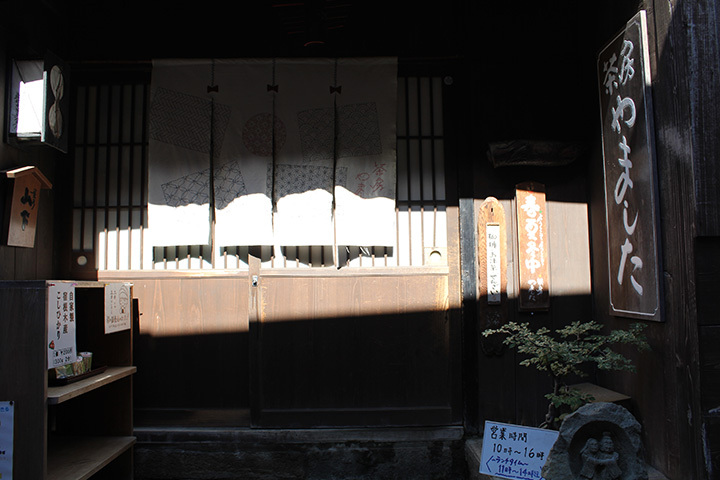 The bedroom has a floor raised by about 20cm, and this is called Chodai-Gamae, a traditional raised-threshold style. The Isaburo family used to make a living as captain of a benzaibune merchant ship. The residence features unique designs, including a protruding second floor on the north side (segaizukuri style), noboribari-style (transverse beams set at a pitch), and an eave decoration bearing a Chinese character “石 "(stone). 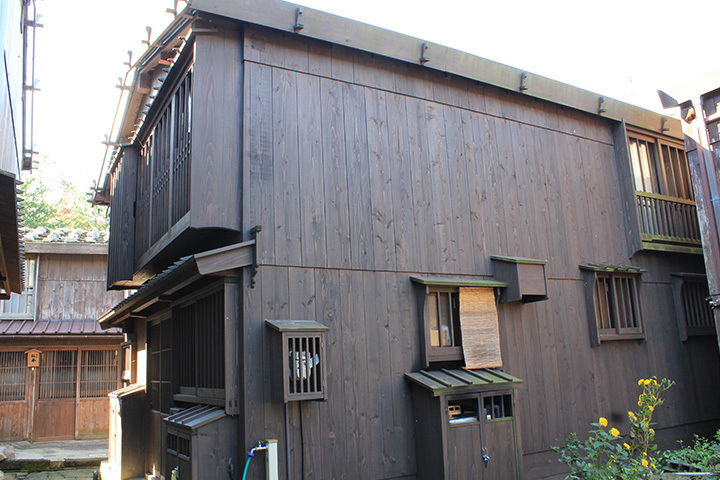 Yamashita’s Residence is one of the few Chumon-zukuri style buildings, which has a wing projecting at a right angle from the main house. The Yamashita family used to be shipping agents and used the wing as a shed to store household goods. At present, the former main house has been reformed into a garden, and the shed was converted into a cafe. After a flood in 1846, Sankakuya was transferred from the Hamochi Ohashi area to where it stands now. Before relocation, Sankakuya was a 7.2m x 10.8m rectangular shape, but it was reconstructed to fit in the shape of a corner lot. 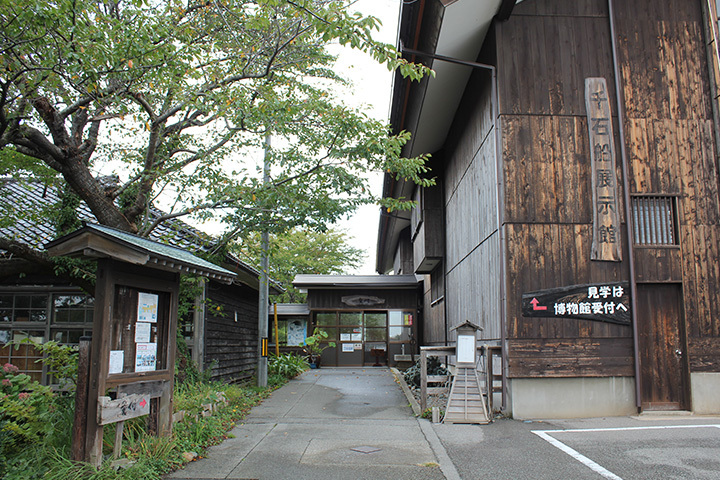 Shukunegi Community Hall is a theatre-style community center in use for various activities. 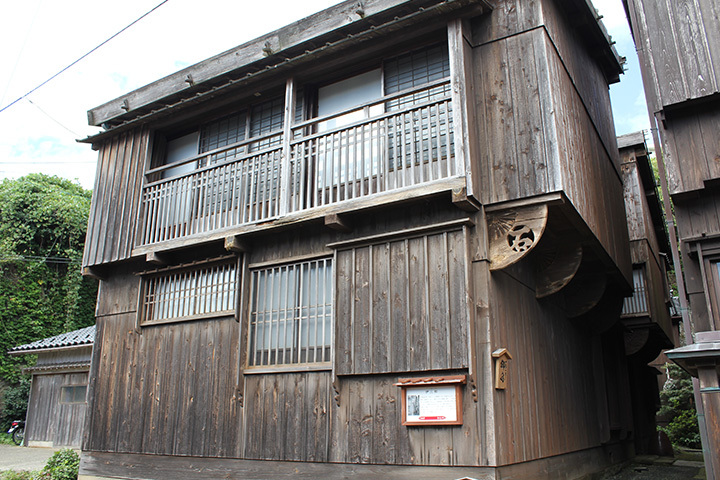 The building has been renovated in size on the same site as the former Community Hall built in the Taisho Period (1912-1926). The construction evokes the nostalgic and retro ambience of the Showa times (1926-1989). 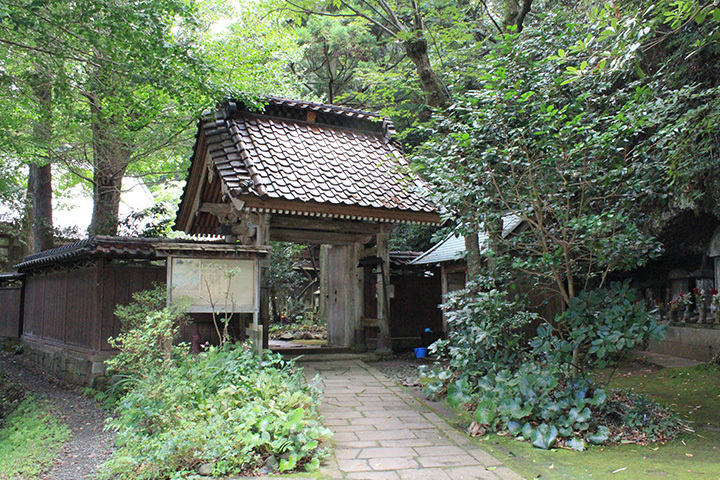 Reputed to be established in 1349, Shokoji Temple is an ancient temple of the Jishu sect of Buddhism. The main building of the temple was built after the Great Fire of Shokoji Temple in October, 1921. On the Sanmon main gate, which survived the fire, there still remains a munefuda [an inscription related to the building], written in 1713. This gate is one of the oldest pieces of architecture at the temple. We ask all visitors for donation to help our conservation work (100JPY). Thank you very much for your cooperation. To hire a Shukunegi Walking Guide, please contact the Sado Tourism Association.